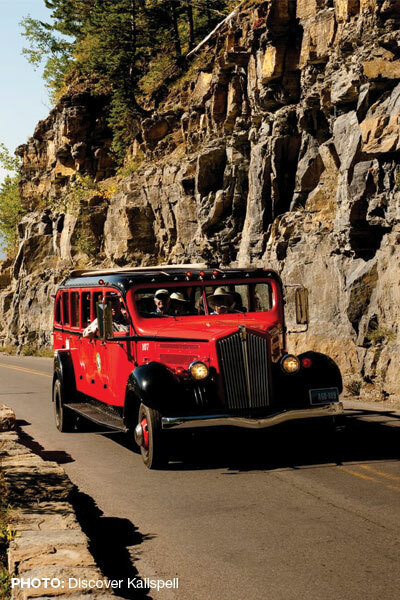 Encompassing the northwest corner of Montana, Glacier Country is a natural beauty where inspiration, new ideas and authentic experiences are found among mesmerizing peaks, glistening waters and over 75 charming small-town communities brimming with genuine western hospitality. From a riverside lodge, to a renovated barn or luxury guest ranch, to a contemporary urban space in the heart of one of our cities, beautiful and distinct lodging properties and meeting places abound alongside modern offerings, unexpected culinary experiences and the latest in technology. With Glacier National Park as the backdrop, our larger cities of Kalispell, Missoula and Whitefish offer meeting options as endless as our big blue sky. These wide-open spaces expand horizons and offer a chance to refresh and renew. Find your inspiration in Glacier Country. 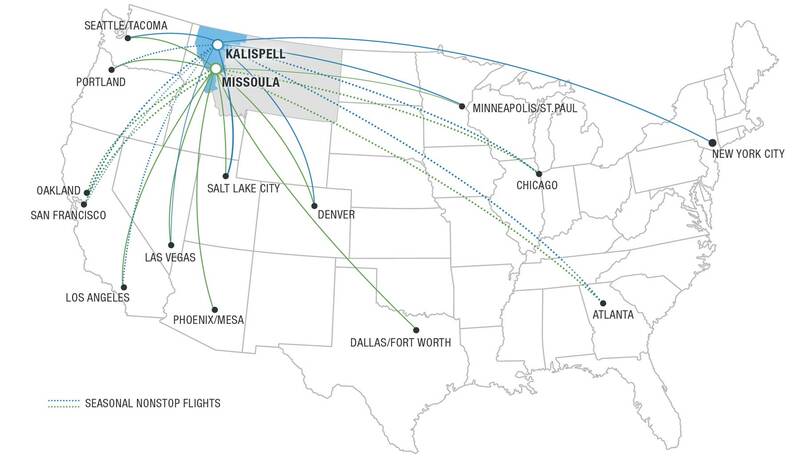 With two major international airports—Missoula (MSO) and Glacier Park (FCA)—serviced by Allegiant Air, Alaska Airlines, American Airlines, Delta Airlines, Frontier Airlines and United Airlines, there are plenty of routes to provide smooth travel plans for meeting attendees. Direct flights regularly arrive from Dallas/Fort Worth, Denver, Las Vegas, Minneapolis-Saint Paul, Phoenix-Mesa, Portland, Salt Lake City and Seattle-Tacoma. Seasonal flights arrive from Atlanta, Chicago O’Hare, Los Angeles, Oakland and San Francisco. If your attendees prefer to take in Montana’s breathtaking scenery en route, Amtrak’s Empire Builder makes twice-daily stops in Whitefish. And with our well-maintained highway system, anchored by Interstate 90 running east and west and U.S. Highway 93 running north and south, driving in Montana’s Glacier Country is easy and every route is scenic. There’s this place where more than rivers meet. A meetings destination where ideas are inspired by nature and nurtured by unexpected sophistication. Where hospitality, technology and amenities are top notch. Where groups gather to experience a town pulsating with arts, culture, food, drink, rich roots and friendly locals, not to mention three rivers and seven wilderness areas. Come together in Missoula— a world-class meeting place for corporate events, retreats, conferences and conventions. 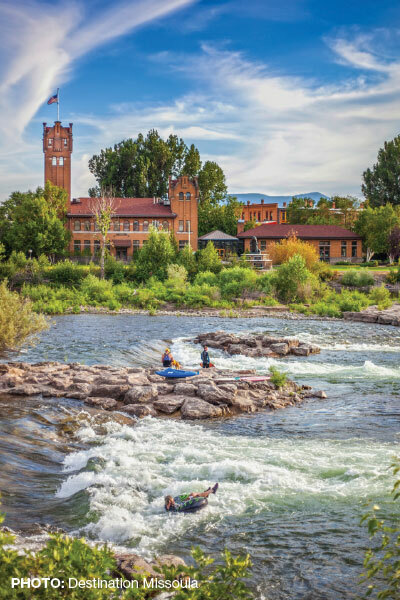 For small-town charm with big experiences, meet in Missoula! Between Glacier National Park and Flathead Lake, Kalispell is the hub of Montana’s Flathead Valley. As the business and retail center of northwest Montana, Kalispell combines affordable variety, modern amenities and quality meeting facilities with easy access to vast and spectacular unspoiled nature. Be inspired here, and find a variety of indoor and outdoor venue options, as well as an array of activities, like scenic boat cruises, hiking and biking on expansive trail systems, horseback trail rides, brewery tours and a historic downtown full of personality, plus breweries, boutiques and culinary hot spots. Don’t miss out! Apply today to join us on our next Meeting Planner FAM trip. For more information contact our Tourism Sales Manager, Debbie Picard at debbie@glaciermt.com. * Space is limited, so please apply soon. This is an all-inclusive meeting planner FAM with airfare included. Sorry, no guests.